There are wonderful Australian media programmes such as Q and A, Insiders, Catalyst, Landline, Insights, Foreign Correspondent, Four Corners, to name just a few, not even mentioning the many specials every week on ABC and SBS. Just in the past two months alone, Landline explored how an Australian sugarcane farmer, successfully intercropped rice to pander to his Vietnamese wife. Another intercropped with sunflowers for the seeds and oil, and mung beans (which Fiji farmers have also tried on a very small scale). But what really stands out are the many robust public policy debating programs with sharp neutrality such as Q and A (Tony Jones) or Insider (Barry Cassidy) or Insights, where Opposition MPs or politically neutral commentators are given equal weight to that of government voices. Of course, we all remember that once upon a time, Fiji Television also had very robust programmes, such as Close Up, but sadly, no more. Despite the ending of open censorship by the Fiji government, an invidious silent self-censorship is denying the public access to "alternative voices". My personal individual experience of censorship by the premier university - University of the South Pacific, by the Fiji media and by the Fiji Bureau of Statistics is only the tip of the iceberg of a much wider "silent censorship of many". The one rare exception is The Fiji Times whose survival must be defended, or the public won't know what they have got, until it is gone. In the past, media censorship was quite easy to prove. Censors were physically in the newsroom, expatriate newspaper publishers were being expelled, large fines or jail terms were being handed down by courts, and warnings were given to certain media organisations. Today's censorship is not obvious simply because no journalist, media organisation or educational institution will publicly own up to "self-censorship". But it is abundantly clear that there is an absence of dissenting voices from forums such as Close Up, 4 The Record, Talk Business, and the many talkback shows on TV and radio. My personal absence from these programmes is obvious to many, given my obvious prominence in previous years. Also absent are other "dissenting" voices like Opposition Members of Parliament or critical NGO leaders, while voices sympathetic to government are given maximum exposure. What is missing in government circles is any adherence to the dictum attributed to Voltaire (or Evelyn Beatrice Hall): "I disagree with your views but I will defend to the death your right to express them." The one bright media light in Fiji, is The Fiji Times which continues to serve the public as a channel for alternative views and as a proper watchdog on the government of the day, despite operating financially on a less than level playing field. It saddens me that the Fiji public continues to show total apathy to the censorship of individuals such as me, or blatant unfairness with taxpayers' advertising funds shown to The Fiji Times, the proven most popular print media in Fiji. This individual has been a senior USP economist, former parliamentarian and well-known media commentator, yet there is no public comment on his continued censorship by not just that university but also the mainstream media and a supposedly neutral government department like the Fiji Bureau of Statistics. 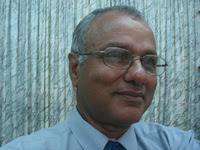 Despite my decades of service from 1973, USP asked me to resign in 2012, alleging financial pressure from the government. In 2013, USP refused to allow the Faculty of Business and Economics to host the launching of my FBS Report on the 2008-09 Household Income and Expenditure Survey, and the associated policy workshops for civil servants, NGOs and other stakeholders. In 2013, an invitation by the USP Journalism Students Association to speak at USP for World Media Freedom Day was withdrawn. This prominent economist has been excluded from several panel discussions in his area of expertise, organised by USP departments, while expatriate professors have been welcomed. One Economics Department panel discussion on the Fiji government's re-issue of a F$500 million (NZ$ 345 million) bonds (to which I had been invited) was cancelled. A special edition of the Journal of Pacific Studies on the 2014 Election, excluded all writings by this academic, while pro-government non-academic outsiders were invited to contribute. USP's censorship is not confined to me. It is on record, that one senior member of the university management was strongly warned not to associate socially with a particular Member of Parliament (and former USP academic) or even with one of his friends, also a senior academic at USP. Other senior USP academics, not perceived favourably by the management are deprived of acting headships, despite their proven experience. The USP Staff Association fails to defend members' rights and privileges, while USP students have been actively discouraged from responsible political activity. The once robust intellectual life at USP of both academics and students, has been severely eroded without any show of concern by the University Council or the public. It is public knowledge that my FBS Report on the 2010-11 Employment and Unemployment Survey (Fiji Women and Men at Work and Leisure) completed in 2013 has still not been published. This denies the Fiji public essential and fascinating statistical results on gender gaps in employment, incomes, unpaid household work, sports and leisure activities like sports, kava drinking, watching television, and religious gatherings. It is understandable that the FBS management cannot protest publicly for fear of loss of their employment. But sadly, neither has there been any public protest from university academics, or NGOs (like FWRM, WCC, CCF, Transparency International) or professional organisations such as the Fiji Institute of Accountants or Fiji Law Society, or social leaders, who all should be interested in the statistical findings being censored. The public will not know that while the FBS has completed a 2013-14 Household Income and Expenditure Survey, this data is being processed now with World Bank assistance, while a local academic who did this work with them for the past seven years, has been completely shut out, undermining the self-reliance that has been built up these past 10 years. Yet objective and freely disseminated statistics from FBS is vital for public policy decisions. After the 2009 abrogation of the 1997 Constitution, not just my articles but also many letters to the editor were not accepted for publication by both Fiji Sun and The Fiji Times even when copied to the Media Industry Development Authority (MIDA) chairman. Media programmes such as Close Up, 4 The Record and Talk Business and the many radio talkback shows declined to invite this economist, who used to be ever-present on their programmes before 2009. On a rare positive note, just prior to the September 2014 Election, The Fiji Times began to publish and continues to publish my opinion pieces, sometimes only after vetting by its lawyers. The Fiji public needs to appreciate the courage of The Fiji Times owners (Motibhai Patel family), FT publisher (Hank Arts) and editor (Fred Wesley) for their moral courage in producing a newspaper which remains the sole source of independent information in Fiji, and whose relative superiority has been independently verified by the Tebbutt Poll. Lest we forget, in recent years, newspapers have been fined heavily, some expatriate publishers have been expelled, while editors have been given jail sentences. A recent decision by government denying The Fiji Times fair access to taxpayers' advertising funds, also drew no public comment from MIDA, the Commerce Commission, the Fiji Chambers of Commerce, or professional organisations such as the Fiji Institute of Accountants and Fiji Law Society, or NGOs (like FWRM, WCC, CCF, Transparency International) or social leaders, who all should be interested in ensuring that there is a robust competitive media environment. If the Fiji public do not rise out of their apathy to defend the legitimate rights of The Fiji Times, then sadly, "the Fiji public won't know what it has got, until it is gone". One day, they will also remember bitterly the words of Jawaharlal Nehru: "Evil unchecked grows and evil tolerated poisons the whole system." As occurred after the 1987 and 2000 military coups, there is also today an emigration of many educated and skilled people. Sadly, that category now includes me, even though no comfortable refuge abroad will ever be the "home" that Fiji has been and will always be in my heart. This will be my last article for The Fiji Times as I pursue professional work in Australia. I thank the publisher, editor and other staff members of this newspaper who have facilitated my media contributions over the years. I also thank its readers who have expressed appreciation for my articles. Professor Wadan Narsey is adjunct professor at James Cook and Swinburne universities in Melbourne, Australia. This article was first published by The Fiji Times and is republished with the permission of the author.